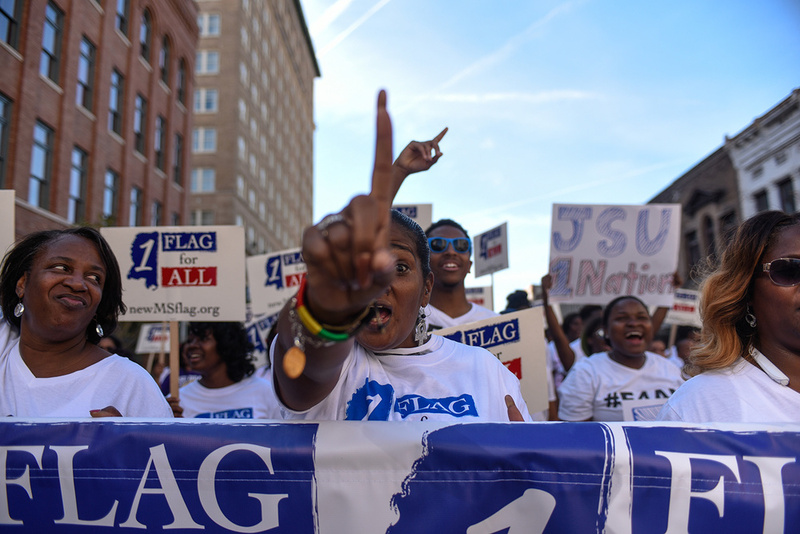 At the start of the march people were met by Marshall E Leonard Jr. , a man flying the Confederate battle flag on his vehicle. 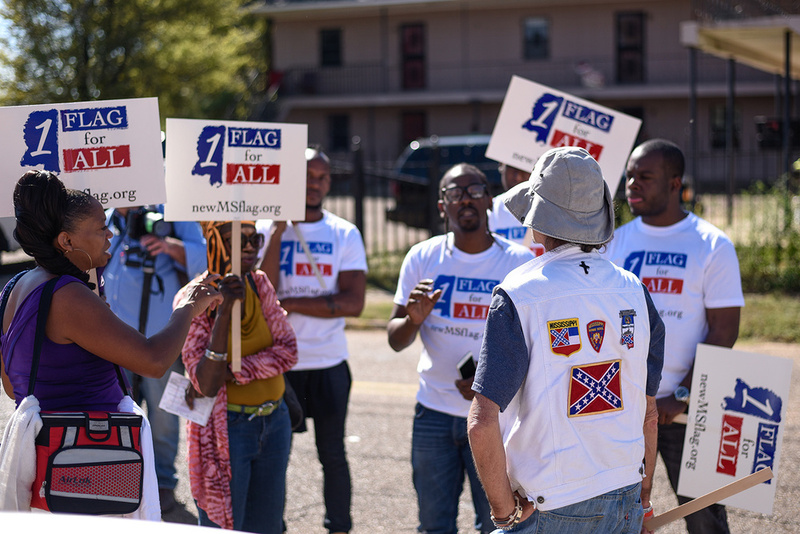 At the end of the march which ended at the State Capitol they were met with 3 men with Confederate and Mississippi flags. The three men were Craig Haden, Al Roland and again Marshall E Leonard Jr.. Al Roland is quoted saying, “We're here to save Mississippi. 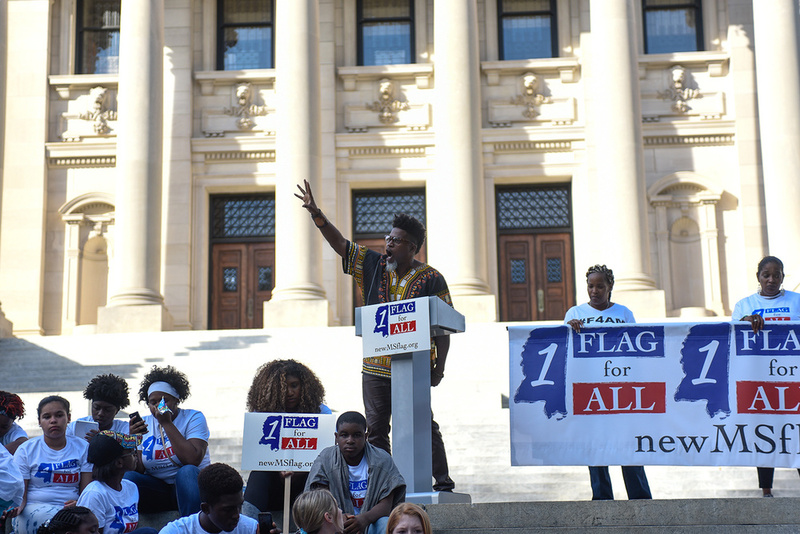 David Banner, rapper and Mississippi native, gave a powerful speech during the rally and took time to meet and talk with every one afterward. Another guest was South Carolina representative Jenny Horne, the representative that got the Confederate Battle flag to come down in South Carolina. **All photos were taken by Courtland Wells.